The Board of Trustees introduced Michael H. Schill as the 18th president of the University of Oregon on April 14, 2015. He began his tenure on July 1, 2015. Before coming the UO president, Schill served as the dean and Harry N. Wyatt Professor of Law at the University of Chicago Law School. Prior to joining the University of Chicago in 2010, Schill served as the dean of the University of California, Los Angeles School of Law from 2004 to 2009. He graduated with an AB in public policy from Princeton University in 1980 and a JD from the Yale Law School in 1984. Schill also holds a tenured faculty appointment in the University of Oregon School of Law. Jayanth R. Banavar is the provost and senior vice president of the University of Oregon. He began serving as provost on July 1, 2017. A distinguished physicist, Banavar served as University of Maryland’s dean of the College of Computer Mathematical and Natural Sciences (2011-2017). Prior to his deanship, Banavar led the Department of Physics at Pennsylvania State University for 12 years. Banavar received a bachelor of science with honors and a master of science in physics from Bangalore University and a Ph.D. in physics from the University of Pittsburgh. 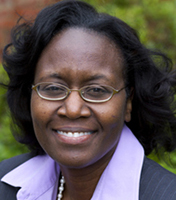 Yvette Marie Alex-Assensoh, a political scientist and attorney who served on the Indiana University faculty for 18 years and as dean for women’s affairs from 2008-2012, was named vice president for equity and inclusion on March 2, 2012. By training and profession, she is a political scientist and a licensed attorney, who has been registered as a family mediator. Alex-Assensoh has worked effectively on a variety of issues related to inclusion, equity and diversity for students, faculty and staff, coupled with duties dealing with admissions, compliance, mentoring, policy design, professional development, recruitment and retention efforts. 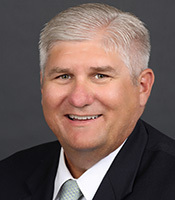 Michael Andreasen became vice president for university advancement in April 2013. He started at the university as vice president for development on July 1, 2010. 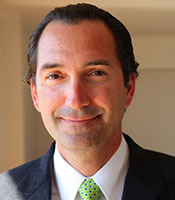 Previously, he served as assistant dean and executive director for advancement at the Stephen M. Ross School of Business at the University of Michigan. He previously held development roles in major gifts and campaign leadership at the University of California, Santa Barbara, and the American Film Institute. He began his career in annual giving at the University of California, Irvine. Andreasen earned his Bachelor of Arts degree in political science from the University of California, Irvine. 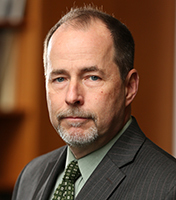 David Conover joined the University of Oregon as the vice president for research and innovation in August 2016. Prior to coming to UO he was the vice president for research at Stony Brook University, where he previously served as dean of the School of Marine and Atmospheric Sciences and as professor of Marine Science. Dr. Conover has authored over 125 publications on the ecology and evolution of marine fishes, and his research has been supported for over 30 years by NSF, NOAA, and various private foundations. Robert Guldberg is the vice president and Robert and Leona DeArmond executive director of the Phil and Penny Knight Campus for Accelerating Scientific Impact. He holds bachelor’s, master’s, and doctoral degrees in mechanical engineering as well as a master’s degree in bioengineering, all from the University of Michigan. Guldberg completed a postdoctoral fellowship in molecular biology at Michigan before joining the Georgia Institute of Technology in 1996. At Georgia Tech, Guldberg was a professor of mechanical and biomedical engineering, and served as executive director of the Parker H. Petit Institute for Bioengineering and Bioscience. Kyle Henley is a veteran communications leader who became vice president for university communications in September 2015. His portfolio includes brand management, development communications, digital communications, marketing communications, public affairs communications, and KWAX-FM. Henley came to the UO from Colorado State University, where he was assistant vice president for strategic communications. He was an award-winning journalist for more than a decade before moving into public relations and communications, with experience in both the corporate world and agency environment. He earned a bachelor’s degree in journalism and communications at Northern Colorado University. R. Kevin Marbury joined the Division of Student Life in 2012, was appointed interim vice president for student life in October 2016, and was named as vice president in November 2017. Previously, he served as the UO’s director of physical education and recreation, and has an extensive background in student affairs with a focus on wellness. Marbury previously served as vice president for student affairs at Edward Waters College in Jacksonville, Florida in 1997. He received his PhD in higher education administration from the University of North Texas in 1992, where he also served as an adjunct professor of kinesiology, health promotion, and recreation. Jamie Moffitt is the university's vice president for finance and administration/chief financial officer. As vice president, Moffitt works with the broad university community to strengthen and further align central administrative and financial functions with the university's core mission of teaching, research and service. 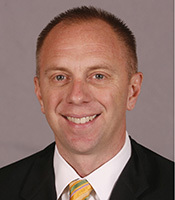 Moffitt was previously the executive senior associate athletic director for finance and administration from May 2010 to December 2011. 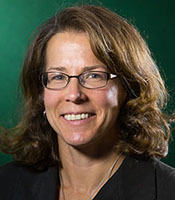 Prior to that, she was the associate dean for finance and operations at the UO School of Law from 2003 to 2010. In both positions, she reorganized budgeting and financial reporting processes and managed human resources and infrastructure improvements. Rob Mullens oversees a 18-sport department with a $70 million budget. Before coming to Oregon, Mullens was deputy director of athletics at the University of Kentucky, managing day-to-day operations. A native of West Virginia, Mullens has a background in accounting and auditing, working at Ernst & Young before embarking on a career in athletics administration. He has a bachelor's degree in business administration and a master's degree in sports management from West Virginia University. As vice president and general counsel, Kevin Reed provides legal guidance and advice to all the university units, and every school and college. He is responsible for managing the university’s legal matters including academic freedom, intellectual property, equal protection in admissions, athletics compliance, research compliance, criminal law, and other litigation. Reed previously served as vice chancellor, legal affairs and associate general counsel at UCLA; general counsel for the Los Angeles Unified School District; and as a litigator with the NAACP Legal Defense and Education Fund. He earned his law degree from Harvard Law School in 1989 and a bachelor’s degree from the University of Virginia in 1986. Roger J. Thompson joined the University of Oregon leadership in July 2010. Thompson is responsible for services that contribute to enhancing the student experience, recruitment, retention, and graduation. His portfolio also includes providing online and continuing education for the community. Previously, Thompson served as the vice provost for enrollment management and special advisor to the president at Indiana University. At the University of Alabama, Thompson held a number of successive positions in enrollment management and was eventually named the associate vice president for enrollment management. A native Oregonian, Thompson earned an bachelor's degree from California State University, Long Beach; a master's degree from the University of Central Missouri; and a doctorate from the University of Southern California.